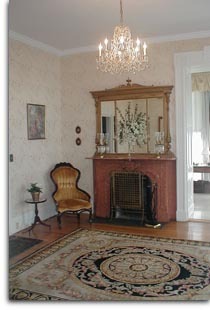 A setting from a bygone era, the Hathaway House offers a unique blend of fine food, elegant setting, and knowledgeable service for your conference, retreat, cocktail party or reception. Click the sections below to learn more about each. If you have nay questions or concerns please feel free to contact us. 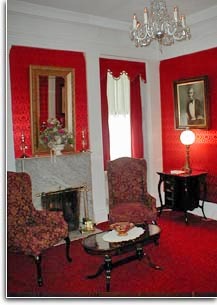 Select the contact button at the top of the site or the button located below for more information. separated by full length pocket doors. 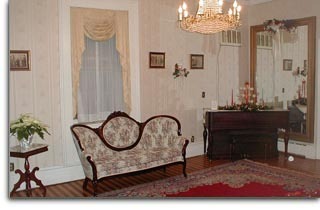 and a bay window sitting area. 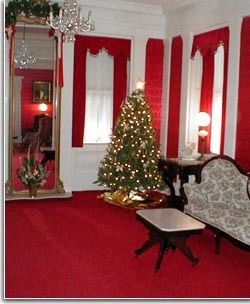 The Music Room (right) is accessed from the Peach Room. 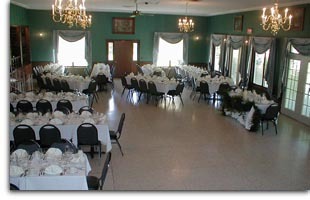 The Terrace Room, surrounded by windows with a garden view of the gazebo, is on two levels with seating for 300 with a dance floor. The Lower Level features access to a full-length covered patio (Year Round). 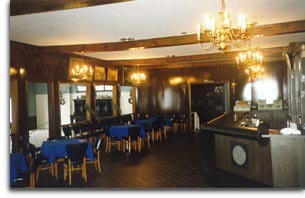 The Upper Level features a full-length bar and cocktail area. All facilities are handicapped accessible. 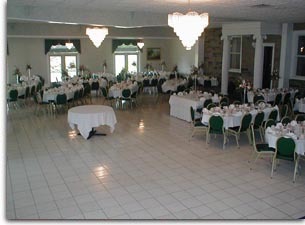 a covered patio (seasonal) with fountain and gazebo adjacent, a bar, and facilities in the room. Seats 350 with dance floor. All facilities are handicapped accessible.